I'm delighted and honored to welcome Colin Falconer, acclaimed author of several historical novels, including the sumptuous The Sultan's Harem and one of my favorites on the infamous Cleopatra, WHEN WE WERE GODS. 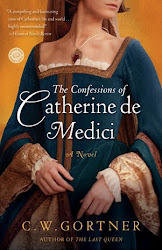 Years ago, before I was published and I was slogging through the submission/rejection/nervous breakdown cycle, Colin was one of my inspirations - a male historical fiction author who wrote gorgeous novels from both male, and female, points of view. In celebration of the recent release of When We Were Gods on Kindle, for a whole new generation of readers to enjoy, Colin has offered this marvelous guest post on the story behind his evocation of Egypt's last pharaoh. 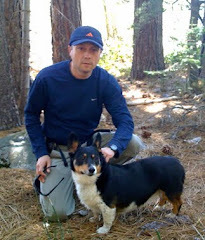 Please join me in welcoming Colin Falconer! 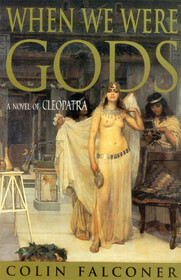 I recently re-released a new edition of WHEN WE WERE GODS, my novel about Cleopatra, on Kindle. In revising and tightening the manuscript I was struck again by two things: first, what a fantastic story it is. 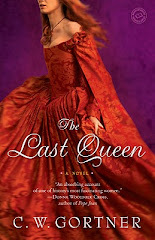 If it wasn’t all true, it would be hard to believe: thirty years before Jesus, an eighteen year old princess tries to take over the world? Outrageous. Cleopatra was a woman with real cojones. 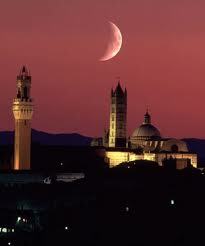 She took on Roman military and political power at the apogee of its power. If she had succeeded – and she very nearly did – we can only speculate what the world would be like today. Because, contrary to popular belief, she didn’t spend all her time bathing in asses' milk, cozying up to Richard Burton and having her hair bobbed. The real Cleopatra was a consummate political animal, with extraordinary ambition, a rare talent for what we would today call spin and the instincts of a street fighter. The other thing that struck me – yet again - was what a tricky thing it is writing history. 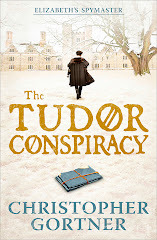 Like most historical fiction authors I have copped some criticism over the years for ‘getting it all wrong.’ From time to time a reviewer has criticised my research when in fact what they are criticising is my choice. Anyone who has done any sort of reading of the past will have found that most historians can never agree on anything. (It only takes one classical scholar in an empty room to start an argument.) What authors often have to do is make a best guess between two conflicting sets of theories. For example: for all her notoriety, we do not even know what Cleopatra really looked like.But surely, you say – she looked like Elizabeth Taylor?Well, no. 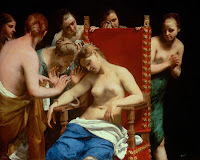 Some historians even speculate that Cleopatra may have been blonde. As she was part Macedonian, there's a fair chance, so to speak. I toyed with the idea of having Cleopatra as a blonde in WHEN WE WERE GODS, to show that I had done my research and to distance myself from the movie. (Also so that Scarlett Johanssen could play the role in my film. Or, at least, in my fantasies.) But my publisher said to me: you can't do that. (Have a blonde Cleopatra, not have fantasies about Scarlett Johanssen.) They said: Cleopatra is now far too deeply ingrained in our consciousness as Elizabeth Taylor in a bob, it will jar in a reader's imagination. A strange point, but a valid one. Cleopatra is now forever a brunette in the same way that Richard the Third will always be hunchbacked, thanks to Shakespeare. Let’s look at the evidence, ladies and gentlemen of the jury. Exhibit A: there are few existing likenesses of the lady extant. A coin from the period shows her in profile, and it’s a pretty terrifying image t oo, not unlike Mike Tyson. Exhibit B: two extremely ambiguous accounts from her contemporaries; Plutarch was at pains to describe her 'pleasing personality'. Only Cassius Dio said she was beautiful; but did he say that because he had to?So the evidence either way is sketchy, at best. So I have imagined her in the book as she may have looked; her mother, after all, could have been a Syrian princess (we don't know that for sure either) and Syrian women were, and are, noted for exceptional beauty. But I didn’t play on it; in the context of the story, as in history, it was her spirit not her looks that really mattered. The woman had wit, fire and ambition to burn. She also ruled Egypt. 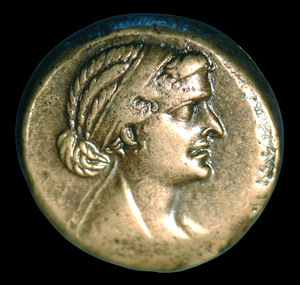 If you were Caesar or Mark Antony, what’s not to like?But one thing even minimal research can do is quickly dispense with some of the more outrageous myths about her. She was not the sexual virago of legend; she did not copulate with crocodiles, (it's dangerous) or with her slaves (beneath her dignity). In fact, it seems she only slept with two men all her life, and both of them were husbands. Well, not her husbands, admittedly - but in all fairness, she did marry them later. Dying by an asp bite to the breast? For those of you are contemplating it, suicide by this means is not advised. The breast is basically fatty tissue. It would be best to find a vein – the wrist, for example - which she may well have done - although other forms of poison cannot be ruled out. And finally let me assure you - and the scholars are pretty much one hundred per cent on this one - that she did not have a bob and a beauty spot; and Mark Antony did not talk with a Welsh accent and have a drinking problem. The truth - as far that can ever be ascertained - is far more interesting, no matter how you read it. And choosing how to write it - that's the joy of being a writer.WHEN WE WERE GODS, is now available on Kindle at $5.99. 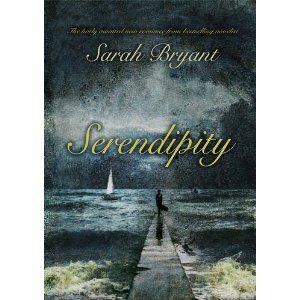 I'm delighted to welcome Sarah Bryant, author of SERENDIPITY. I had the incredible good fortune to read and review Sarah's past novels Sand Daughter and The Other Eden; she's an amazing, diverse writer who doesn't stick to conventions, and her post will be of great interest to those who both write and read eclectically. Please join me in welcoming Sarah Bryant! “Where do you get your ideas?” is the most common question people ask me when I tell them that I’m a writer, and it’s the most difficult to answer. It’s not so much that I don’t know (although flash-in-the-pan inspiration is always a factor) but that the origins of my books are usually so distant, so mundane, or so apparently unrelated to the finished product, that people either don’t believe me, or are disillusioned by the banality of the truth. Serendipity is no exception. Its point of origin is seventeen years ago, my second year of university, when I was a competitive dinghy sailor. I woke up one morning from a dream about an old white wooden sailboat wanting to write about it, about sailing’s addictive quality and (being a rose-tinted twenty year old) about love. The result was an abysmal short story about a girl who loved sailboats, and a boy who loved her, which languished in my “stories” folder until the following year, when my first real relationship broke up. Among other fallout, I quit sailing. I had to, if I didn’t want to see the boy in question every day. I missed it at least as much as I missed him, but there was no question of going back to either one. So what to do with the sudden, gaping hole in my life? Write about it, of course! I dusted off the sailboat story, trashed most of it, but kept the two characters. Then I started listening. The guy was silent. But the girl, Meredith, had a lot to say about love and loss and disillusionment. I started writing. It wasn’t until the following summer that Meredith’s pages of rumination began to take shape as a novel. But it had nothing at all to do with Meredith, or even sailboats. I was working that summer on a small teaching farm – a nineteenth century holdover, marooned in the Massachusetts suburbs. Before I knew it, an imaginary world was forming around that farm, and out of it, unexpectedly, the silent man began to speak. He was intelligent and wry and somehow damaged. I put Meredith aside, and started writing Silence. The more I wrote, though, the more I worried. There seemed to be no middle ground between the heartbroken sailing prodigy and the disillusioned farmer. The answer came out of left field, as writing answers so often seem to. My friend Adam, a fellow farm-worker, informed me one morning, “My new favourite word is ‘serendipity’. Serendipity explains everything.” I said, “Right, whatever,” but I found the word knocking around my head over the next few days as I demonstrated the joys of cow milking and composting to a lot of hot, bored suburban children. And then Adam took me to see his family’s farm – another fabulous bit of anachronistic Americana. It had a huge old red barn, bigger even than the house, and intriguingly empty. It was big enough to hold a boat. And that was it, the flash in the pan: Silence was building a boat in his barn! And sooner or later he was going to need help: enter Meredith. Serendipity, indeed. I’d like to say it all went smoothly from there, but novels never do. I took Serendipity with me onto a masters program, where the tutor hated it, and did her level best to fail me. 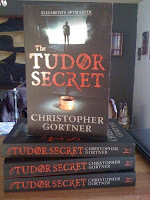 A year later, I was lucky enough to find an agent who loved it, and I thought I was sorted. Wrong again: the agent couldn’t sell it, and ultimately gave up on it. So did I. The rest, so to speak, is history. Thank you, Sarah! We wish you much success! To find out more about Sarah and her work, please visit her website. OF FAITH AND FIDELITY: Geoffrey Hotspur and the War for St. Peter’s Throne is the first book in the English Free Company series set in the late Middle Ages, by Evan Ostryzniuk. The English Free Company is led by Geoffrey Hotspur, an orphan-squire and ward of t he mighty Duke of Lancaster, whose driving ambition is to become a knight and serve a great lord. Of Faith and Fidelity takes place in 1394, at the height of the key to winning the throne of St. Peter was control of the Patrimonschism of the Western Church when the throne of St. Peter was contested by rival claimants in Rome and Avignon. Unable to settle the dispute peacefully, both sides resorted to war, and the y, a band of territory stretching the breadth of Italy that owes fealty to whichever pope who can rule it. Before Henry V won his miraculous victory at Agincourt, before the Borgias had done their infamous deeds, there was Geoffrey Hotspur, a man as tall as Charlemagne and armed with a sword that rivals Excalibur. Thrown off the established path to knighthood, the ambitious and hot-tempered Geoffrey finds himself caught up in the war between the two popes, where he must adapt his beliefs and apply his training as a squire in order to survive. Please join me in welcoming Evan Ostryzniuk! 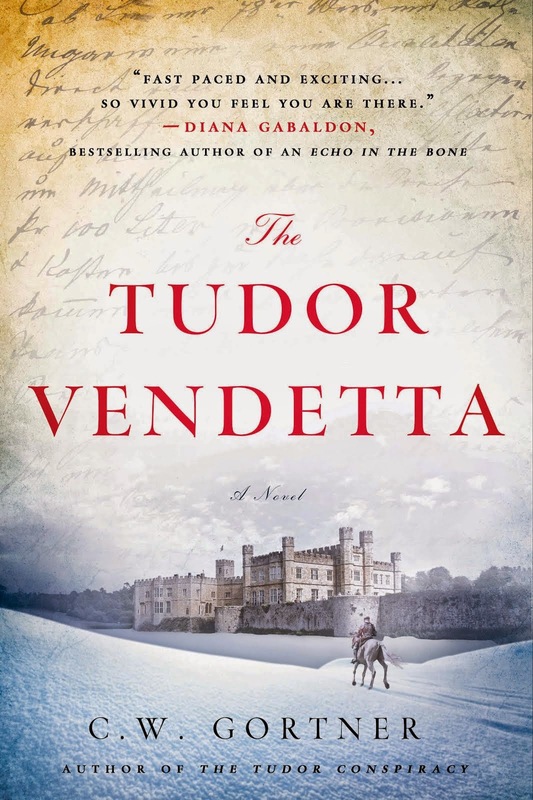 One of the most difficult tasks for the writer of historical novels is reconciling the fictional setting between what it looks like today, what you want it to be, and how contemporaries saw it. This acquires greater importance when spatial relations have to make key contributions to the plot. Because Of Faith and Fidelity features a number of castles, cities and battlefields, I had to make sure that I understood the physical relationships of urban and rural topographies if I was to offer a convincing portrayal of the challenges my characters face when negotiating them. If I can’t run up a set of stone steps to reach a parapet without huffing and puffing, then I cannot in good conscience have my man-at-arms, weighted down with a sword and armor, probably suffering from some sort of chronic ailment, racing aloft and confronting his opponent in full readiness, no matter how much his medieval adrenalin is pumping. Finding the logical range of action for a (non-superheroic) character is the duty of every historical fiction author. Wandering around a medieval castle today can be a sullen experience because of how thoroughly so many of them have been hollowed out, leaving the author with a negative impression of castle life. At the northern Italian city of Marostica, which is famous for its chessboard main square, the medieval curtain walls and gatehouses survive intact, although they are worn and barren but for a small museum. At first glance, the fortifications look dull, and they are practically isolated from the town proper, as though today’s residents are embarrassed by them. If I were to transpose these initial impressions to the fictional page, I would be misrepresenting their true relationship with the objects of its protection. On close examination I found that the main gatehouse was full of holes – not from the impact of cannon fire, but rather from the insertion of timber. Studying how these mysterious apertures were aligned, I discovered that the beams that were once there must have supported extensive terraces of several levels that projected well into the city. These terraces, I assume, were rented by merchants, patrolled by sentries, and used by the town fathers for important announcements. Building on this knowledge, I imagined canopies, balconies, curtains, and all sorts of decoration that eventually adorned the naked walls with rich and dynamic structures. The fortifications not only protected Marostica – they were well integrated into the life of the great city. 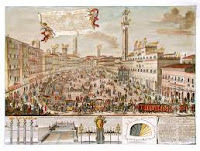 All authors need to imagine their settings in great detail, of course, but the physical presence of him or her at these locations, regardless of changing uses and structural alterations, can do wonders for building that fictional environment, supporting its veracity, and offering opportunities for discoveries that deepen the narrative. It’s the little things that matter, and more to the point, the things that are left out by contemporaries. Cities are a major challenge in this regard. We live in an age of the metropolis, where everything – simply put – is bigger. On my tour of medieval Italy I was astounded by just how compact and isolated even the great cities were. Their former citizens must have felt this. Siena, for example, is a marvel of form and function, with an enormous cathedral, magnificent main square (which is round) and enough houses for the city to be divided into competing districts. It was one of the centers of banking and a stop along the great pilgrim route, yet at a casual pace I crossed the breadth of Siena in an hour! Even considering Siena’s modest urban sprawl, I can’t help but be convinced that the average medieval citizen felt dwarfed and isolated from the endless forests and fields that would have surrounded his or her city. As a writer of historical fiction, I feel compelled to emphasize this essential distance, for it affected contemporaries’ worldview, and from that how they interacted with city and country. 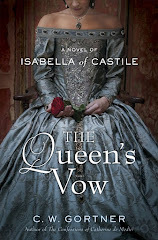 The author of historical fiction has to take especial care when reimagining battlefields because he or she has to consider so many factors and conditions. Few medieval battlefields are preserved in any meaningful sense, and contemporary chroniclers tended to focus on the deeds of great knights, unless the conditions had a critical impact on the battle, like the mud at Agincourt or the heat at Hattin. Every reader wonders what it must have been like to be laden with armor, packed in dense ranks and brandish a heavy weapon in the face of an enemy. I know what fascinates me is the intensity of the combat experience. Understanding strategy is fine, but what I want to know is how much did the men-at-arms sweat as he stood for hours on an open field, what kind of traction did he have, or how difficult it was for him to move in full harness. When I walked around the fields of Anghiari, I tested the resilience of the ground, hazarded the distance to the surrounding hills and the town itself, and I tried to create for myself the perspective of a Florentine foot soldier who might have stood in 1440 where I was standing in 2010, awaiting the charge of the Milanese on that fateful June day. Evan Ostryzniuk was born and raised in western Canada, where he attended the University of Saskatchewan. After graduating with a B.A. in History and Modern Languages and an M.A. in Modern History, Evan did post-graduate work at the University of Cambridge, concluding five years of research with a doctoral thesis on the Russian Revolution. 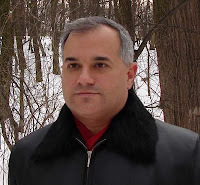 He eventually found his way to eastern Europe, where he took up positions as a magazine editor, university lecturer and analyst in the financial services sector before finally settling on writing as a career. He currently resides in Kyiv, Ukraine. 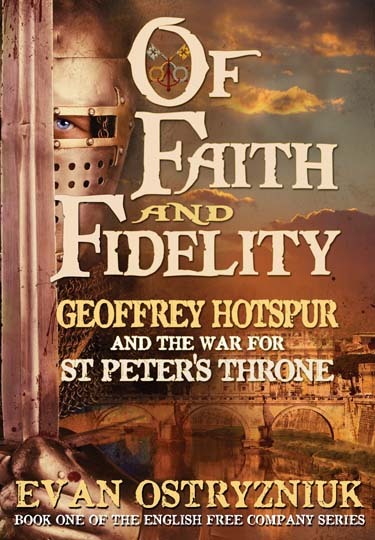 Of Faith and Fidelity: Geoffrey Hotspur and the War for St. Peter’s Throne is his first novel. 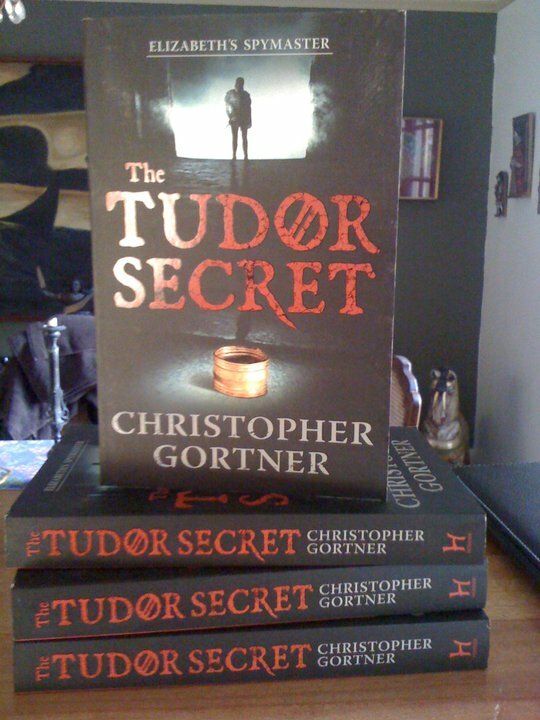 THE TUDOR SECRET debuts today in mass market paperback in the UK! The UK's mass-market is a larger-sized paperback than our US mass market editions, and it looks lovely. The book is also discounted at Waterstones and WH Smith. To all my UK readers, I hope you enjoy it and thank you for your support! 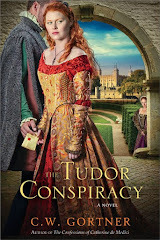 In honor of the book's release, I'm offering TWO free copies to UK-based bloggers for review. 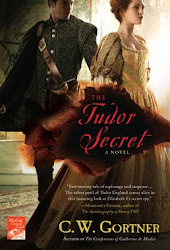 If you are a UK-based blogger and would like to review The Tudor Secret on your blog, please leave me a comment below. Giveaway ends June 20. Yesterday evening, my partner and I lost our oldest cat, Rosie, unexpectedly. She'd been sitting on the low wood fence between our house and our neighbor's, as she did almost every night after dinner. We had checked on her earlier in the evening from our living room window before settling down for a movie, and she eyed us with her usual nonchalance. Half way through the film, we heard a loud scuffle; our dog Paris started barking in agitation and throwing herself at the door. We ran outside. A pitbull-mix dog that lived a few doors down and we always worried about had evidently gotten loose and came upon her. Rosie was half-blind in one eye and her hearing had diminished significantly; she had sat on that fence every night for years and either didn't see the dog or didn't think it posed a danger, until it was too late. 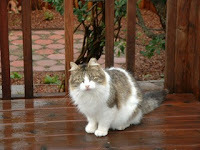 Th ough we ran out and fought it off, stopping it from mauling her to death, her back leg had sustained severe injuries. It would have required amputation and difficult follow-up. So, at 1:45 a.m., in the emergency hospital, as we petted her and murmured our love, she was euthanized. She'd already been heavily sedated, and she left us quietly, without further pain. It was the first time in 11 years we had touched her. Like our other five cats, who depend on us for food, care, and shelter in our garden and in our garage, where we've designed a cat-friendly environment, Rosie was feral. We think she was probably 11 or 12 years old; but we were never sure. She came to us as a young cat, hungry, thin, and wary, as so many cats born outside do. Together with our next door neighbors, both of whom love cats, we gained her trust and respected the boundaries she determined for interaction. In time, she was caught and spayed, but she was never tamed. Still, she stayed. She dwelled in our and our neighbors' gardens and accepted the other ferals who drifted into our lives over the years and were likewise neutered or spayed, and released; she and they even developed a hierarchy. When feeding time came and Rosie was there, the other cats always deferred to her. She ate first. Same when it came to the wheelbarrow in the garden; it was her special daytime sleeping spot and woe was any other cat who tried to take it from her. She even developed a relationship of sorts with Paris; our dog didn't chase her and she deigned to tolerate Paris sharing the garden on occasion. Rosie was a wanderer, at first. We fretted over her days-long disappearances, only for her to suddenly show up at our kitchen door, face pressed to the glass, wanting food. As she aged, she stopped leaving. In the last 8 years, she never went far. 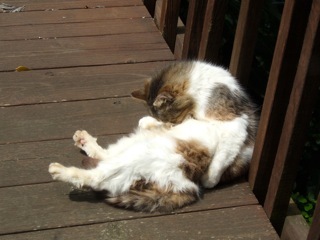 She ate every day in the morning and evening (and, as her chewing abilities decreased, had her own special dish of wet food); took her morning groom on our deck, her afternoon nap in the wheelbarrow, and at night . . . well, she went onto the fence, to watch the traffic or bask in the moonlight and whatever other allure the night holds for cats. Her loss - both for how it happened and that it happened to her - has left us bereft. However when I mentioned to a well-meaning friend that we'd decided to have her privately cremated and her ashes returned to us, this friend said, "But why? I mean, it's not as if she was your pet. She was just a wild cat you fed." This got me to thinking about the complex, sometimes intangible bond we can develop with animals, particularly feral cats. People who don't care for them cannot understand that while we may not touch these cats, curl up with them in our beds or play with them, they are still an integral part of our family. We saw Rosie every day for all those years; we watched over her, ensured she would be as safe and comfortable as possible, and always respected she was not, and would never be, a fully domesticated cat. This doesn't mean we didn't love her or she didn't love us. I saw it in her eyes, sometimes, when I paused to whisper silly things at her as I set down her food or went to clean her box in the garage. She would tilt her head, regarding me with those big amber eyes, and she would narrow her gaze, as if to tell me, she understood. She understood and she appreciated it. She thanked us. We already miss Rosie terribly. We find ourselves looking out the window for her, toward the now-empty wheelbarrow which for today at least, none of the other cats have claimed. Tonight, when we went down into the garden to feed them, all five were sitting there, waiting. They rarely show up like that, all at once; they tend to feed in shifts. Yet as my partner and I gazed upon their solemn faces, they returned our look and I could have sworn, they knew. They realized Rosie was gone and we were grieving for her. And in their silent way, they thanked us.